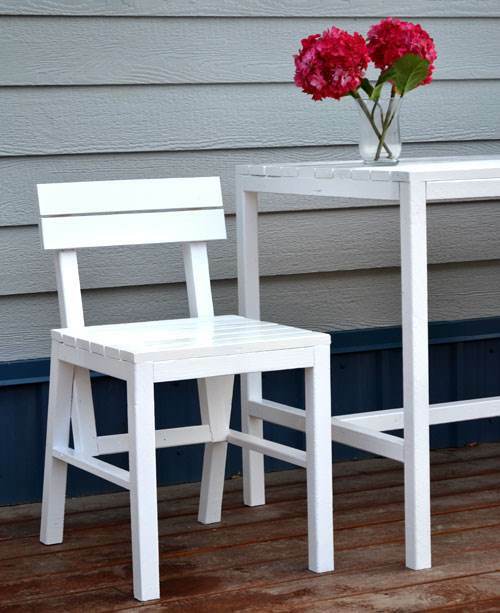 Build one seat or a dozen, with free patio and lawn chair plans that are simple to construct and use basic woodworking tools. 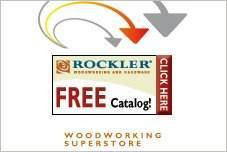 Choose from folding, rolling or stackable chair plans and use stock lumber for inexpensive seating for your deck or patio. Wood can be stained or painted to match your outdoor furniture, and custom or standard cushions add color and comfort to your space. Add beauty and style to your home with teak, cedar or redwood chairs, while saving money by building them yourself with free patio and lawn chair plans. There are plans that use recycled pallets and a comfortable glider to spend lazy summer afternoons. A patio chair or lounger accommodates standard cushions for a custom, designer look. 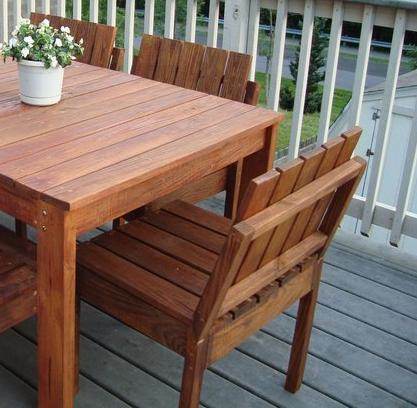 Build tables and benches of matching wood for a complete set of custom patio furniture. Plans for a good looking outdoor chair that is strong, sturdy and easy to build with these instructions. Create minimalist outdoor furniture without the expensive price with these plans. It can bring a unique look to any garden area. 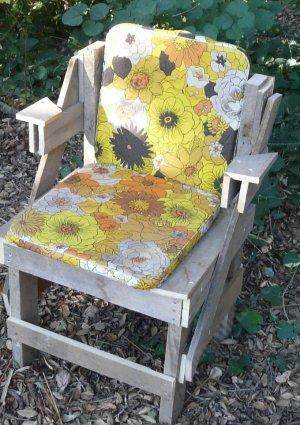 Recycle old wooden pallets by making outdoor chairs for your lawn, deck or patio. Create a beautiful outdoor space for dining by building this styish solid wood chair with a backrest. 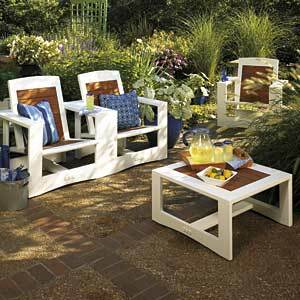 These outdoor wooden chairs are attractive, easy to build and they can be stacked on on top of each other for ease of storage. This is a project for a very unique outdoor chair that will add to your patio or decks decor. Complete plans for outdoor chairs and a small table or ottoman. 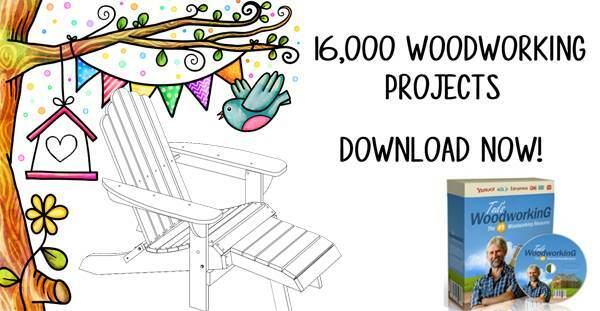 Using the simple plans and diagrams you can construct your own garden chair.